San Diego webmasters and web design hosting options to handle your needs. Need a dependable and affordable webmaster or web site developer and programmer that you can call on to help you build or maintain - manage your web site? Looking for a dependable web site host? Normally, shared hosting servers have hundreds of customers sharing a server. Our model means your site has more resources and a much more stable environment than other shared hosting services! Since 1993 providing professional web design, graphics, programming assistance and development services to businesses in San Diego and throughout the United States. Full-service Internet Marketing and social media management services specializing as consultants in a wide area of internet applications. We offer a number of web site hosting plans to meet your every need. Business and personal web sites are hosted nationwide. 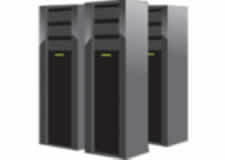 We provide shared server web site hosting package plans. cPanel for hosting account management. 1-click installs for over 200 of the world’s most popular web applications, including WordPress, Joomla, Drupal, and more. WebmasterDeveloper.Com has provided website design and web development services for small, medium, and large companies in San Diego, California, and beyond. We offer a number of web site hosting plans to meet your every need. Business and personal web sites are hosted by us from all over the United States. A variety of web hosting programs to cover every need. Complete, web-based management of your site. SQL Server/MySQL database space for data-intensive web sites. Full support for the .NET Framework. PHP scripting environment for all plans. Easy web site creation with free SiteBuilder. Clean, crisp, professional web design. Our staff of website designers will create an online presence suited to your product or service leveraging the newest technologies. Presenting your company's image attractively. .NET web applications to put you in direct contact with customers. Monthly Webmaster Services to help you maintain your web site. Three levels of basic webmaster web design or webmaster support with web programming. 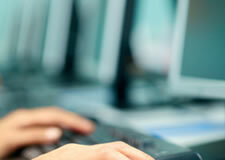 Covers all aspect of web design, web site administration, or web development. Free ZenCart shopping Cart to sell products on the internet. Full compatibility with popular payment services. Custom E-Commerce with PHP or ASP.NET. Easy to use or our web programmers will assist in integration of your shopping component into your website. Wordpress is a popular blogging tool that allows visual theses and styles to be applied easily and instantly. Not only do all of our hosting plans support PHP, MySQL, and, hence, Wordpress, we can also design custom themes for your Wordpress Blog. Click here for free wordpress themes. WebmasterDeveloper.com assists hundreds of businesses in hosting, maintaining, building or helping clients get control of their online businesses. WebmasterDeveloper.com is your one stop source for web hosting and web site designer packages. Serving the communities of Escondido, El Cajon, Carlsbad, Temecula, Del Mar, Solana Beach, Encinitas, Oceanside, Vista and San Marcos, California. Dependable website designers, webmasters, web programming, and web hosting We serve Arizona and nationwide with complete web hosting services for as low as $7.99 month. Webmaster Developer is a top Web Hosting Company for Web Developers. A reliable, economical and dependable web host who caters to web developers. Why Host Your Web Site With Webmaster Developer? You need a web host that is always available and provides quick response to any issues. 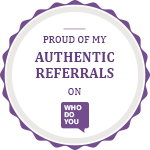 We provide customer service 24/7 and are hailed for the fastest response in the hosting community. Reliable service and 99% uptime - making it reliable hosting and worry free that your site will always be online. We provide state-of the art network infrastructure and data center. No contracts- Hosting clients are not locked into a term contract. If you need to stop service, just contact us to cancel at any time. A user friendly control panel to easily manage your web site and email. You have practically 100% online management of your hosting account and web site. Quick access to a webmaster for any assistance with your web site needs. Our San Diego web site freelance designers will help you create and set up word press blogs. 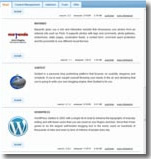 WebmasterDeveloper.com is a showcased Escondido, CA website development firm on DigitalSpinner.com! Consider our (SEO) Search Engine internet marketing, web site consultation and webmaster services to help improve your search engine placement and work on your own site. WebmasterDeveloper.Com has provided website design and web development services for small, medium, and large companies in San Diego, California, and beyond. Our hosting solution is proud of the strategic partnerships with Microsoft, Adobe, and other leading IT companies that allow us to offer the newest products and technologies first and at the best prices for our customers. The state-of-the-art network and datacenter is fortified in one of the most secure and reliable facilities in the western United States,offering incomparable speed, service, and network availability. Equipped with the technology of tomorrow, military-grade security levels to satisfy your website, data, and email needs. Webmaster Developer hosting options adapt quickly to the ever-changing industry by adding and intregrating the newest technolgy, services, security measures, and a host of features long before they are available to our competitors. If you want to achieve great results on your SEO campaigns or have an incredible web design you should check this guys from Creativo.Studio . You won't believe the amazing results that come working with them! When you need to ping backlinks or index your backlinks, check out One Hour Indexing. If your Florida small business needs more leads and sales, check out Easy Street Marketing, an SEO firm in Ocala, Florida. Is your website well optimized for the recent changes to the Google algorithm? We love SEO, and one of the top firms for washington dc seo can get your website to where it needs to be no matter where your small business is located! We’ve been around since 2005 and have helped literally hundreds of people create websites. We provide all the tools needed to run your professional responsive website, from design to hosting and reaching the internet world. Website design Didsbury, Airdrie, Olds, Innisfail With Smart Web Solutions serving Didsbury, Olds, Airdrie, Sundre, Innisfail with website design, web design, it is important for us to continue with excellent service for all our customers, close and far. Give us a visit, we're sure you will partner. to speak to a project coordinator about your web site needs. Services provided by Webmasterdeveloper.com include: San diego web hosting, website design & maintenance in Oceanside Calif. We provide graphic design services as San diego web hosts. 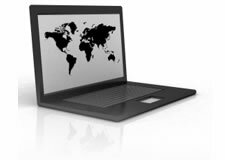 Service areas include, Oceanside, CA web designers and escondido web hosting service in Escondido. We are a California website development company for Encinitas California service areas.